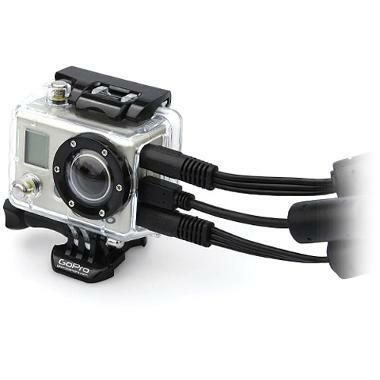 This GoPro video accessories package with skeleton housing is equipped with open sides slots that allow you to view live video feed from your with the GoPro HD Hero and GoPro HD Hero 2. Mount the camera to a tripod or monopod with the tripod mount accessory for added stability and versatility. A GoPro Camera is not included with this rental. The skeleton housing is not waterproof.